Our Court Would Love to Speak to You! 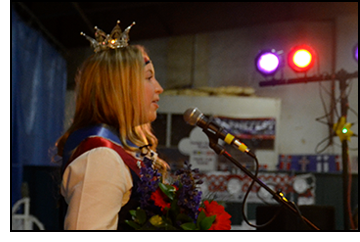 The 2019 Festival Court is available to speak to your lodge or service organization. Please use the form below to schedule a date. Click here to learn more about each member of this year's 2019 Astoria Scandinavian Midsummer Festival Court. Astoria Scandinavian Heritage Association is now enrolled in Thrivent Choice® and will be listed in the Thrivent Choice online catalog.Thrivent Choice is a member-advised program that allows eligible members to recommend where Thrivent distributes part of its charitable outreach funds each year. When eligible Thrivent members direct Choice Dollars® to your organization in a particular month, Thrivent reviews the recommendation and makes an electronic deposit in your organization's bank account by the 10th of the following month. Those funds may be used to carry out the religious, charitable or educational purposes of your organization.